You climb up a very steep hill to get here, stopping for photographs on the way and looking at the monkeys everywhere. Then you reach the top where you will find the temple dedicated to Hanuman. 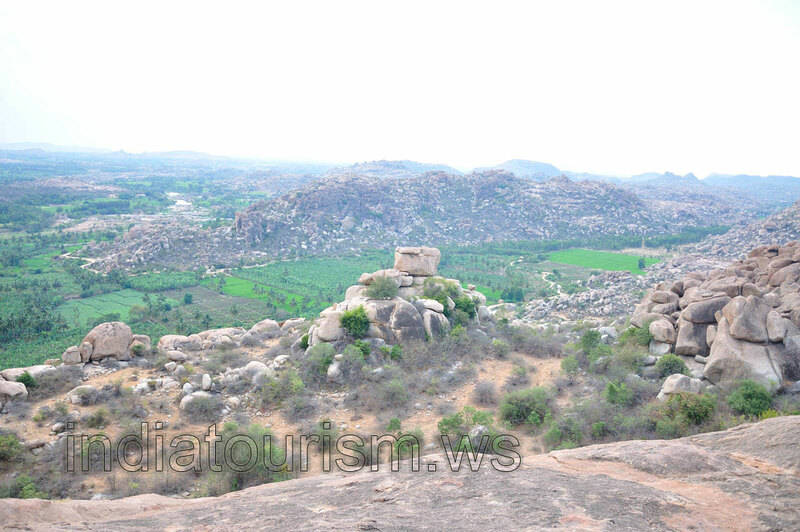 Fabulous views of Hampi will open before your eyes.